In just a short time the God of rock took away years of history depriving us of certain legends, artists among the most influential and important, but now, thanks to their musical works, they have become legends never to be erased. Faced with these grave losses there is nothing left to do but to hold more dear those who are still with us, to give a welcome to Her, who, four years after «Let England Shake», will come back this spring with a new album and a summer tour. About this album, we know just a little, but in the midst of our natural expectations, it’s very clear what her impression is, because we know this woman very well. 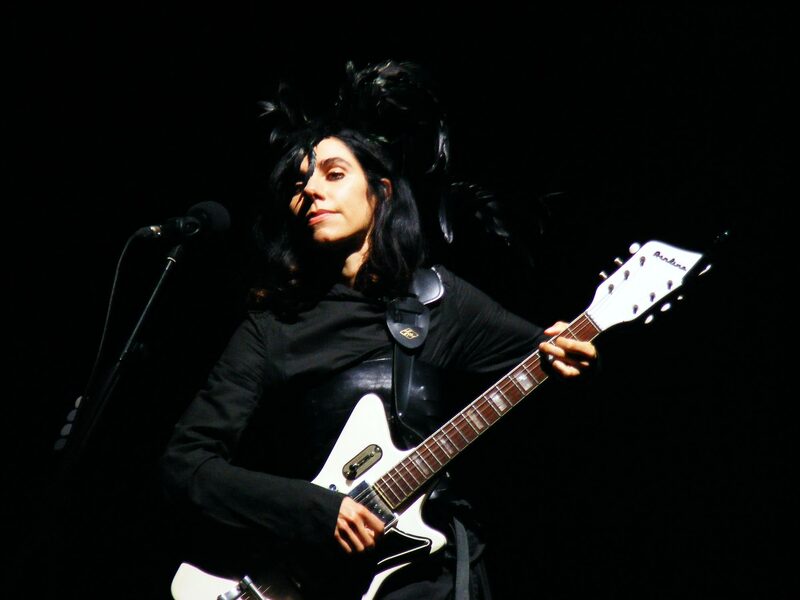 From the class of ‘69, Polly Jean Harvey, P.J. for her friends, is one of the few female voices that is able to transmit that sense of damning of the male rock stars. She is a natural successor to Patti Smith, she wears it marvelously with her dark, instinctive and intense tone of voice, the clothes of the priestess of rock. Her style throughout the years has evolved and grown, but she has never lost touch from her sensuality, dipping into her blues roots and the energy from punk in order to deeply re-work her lyrics and music with a sense of suffering and release in her songs, wrapping them in the dark charm that comes out of the crypt of rock. Balance and damnation, as always, together with Nick Cave, one of the most beautiful, dangerous and explosive musical and real life couples. There were numerous important musical collaborations (Thom Yorke, Mark Lanegan, Bjork, Marianne Faithfull, Tricky, Josh Homme…) and acknowledgements (for example, she is the only artist to have won the Mercury Prize twice in addition to many nominations), the reason for which P.J. is one to count, without a doubt, among the best singer-songwriters in the history of music. For this and for all of the other reasons, we can’t do anything but love her, continue to love her and hold her very close to us.